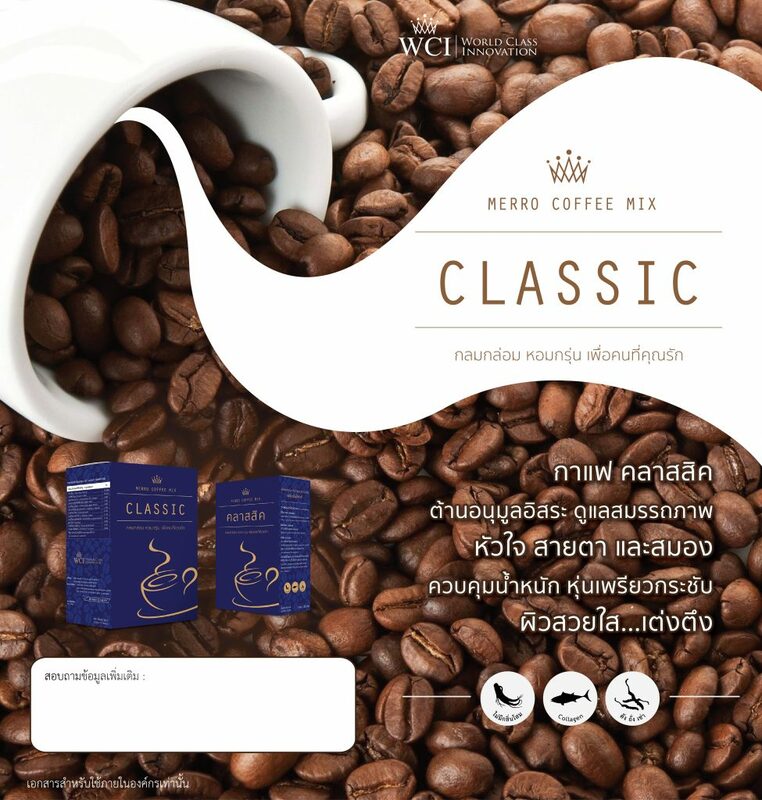 Classic Merro Coffee Mix is coffee mixed with Collagen. Collagen is very beneficial to the skin, as it gives skin elasticity. The coffee mix is also loaded with Dong chong xia cao and Lingzhi mushroom, which help maintaining a healthy body, strengthening immune system and restoring energy balance. 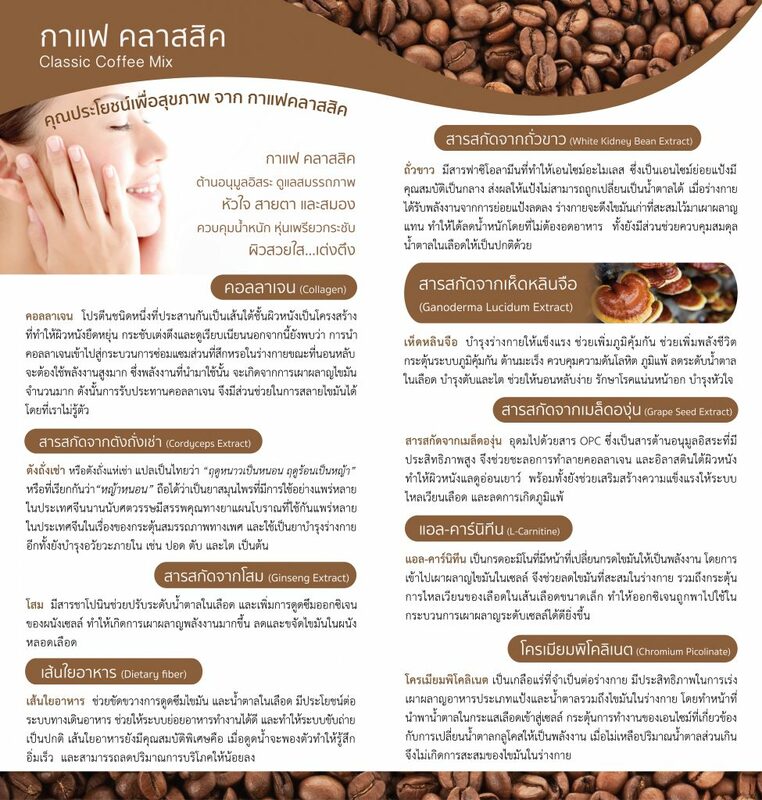 กาแฟ 1 ซอง (15 กรัม) ชงด้วยน้ำร้อน ประมาณ 120 มล.